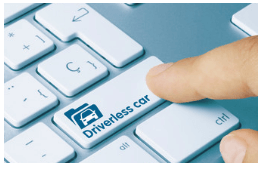 Our aim is to be a one stop online global resource, connecting companies and offering marketing services, within the rapidly emerging Connected Autonomous vehicle industry. We also extend our services into the field of Smart Transportation and Mobility in general. Being an online resource, means that our mutual success is dependent on us featuring highly within the major search engines rankings for the main industry search words and phrases. We can measure this and are pleased to report that this SEO strength is growing on a daily basis. Our clients are wide ranging, including; Vehicle OEMs, Design and research companies, Tier one suppliers, Electronic, Electronic, Mechanical, Mechatronic modules, assemblies and component manufacturers, Universities, Colleges & other Educational establishments, Government departments & Institutes, Recruitment / Employment Agencies, Media & Events companies, Software developers, plus emerging service companies including Ride hailing & sharing, Fleet operators, Driverless vehicle legal services and Insurance. To provide a focused, comprehensive marketing platform & business directory, enabling companies and Industry professionals the ability to access various channels to connect with potential clients and partners. These include; highly detailed Company information / Business Listings; the listing of Company Events, product launches & seminars; the ability to list company job opportunities; a news section to highlight the daily activity within the Connected Autonomous vehicle industry; a glossary of terms, to describe the emerging new technologies and buzz words; a growing section of traditional, audio and kindle publications to help to further understand the latest developments. In addition to business listings and events, we also offer a vibrant platform for advertising new technologies and services, but adopt a different method. We restrict the use of traditional banner ads. We feel that this gives our site a less cluttered look, enabling our audience to fully focus on the their chosen topics and pages. In keeping with the rest of the Driverless.global site, we use a more factual way of displaying commercial information. To highlight a company's products and services, we have created a wide range of highly searchable, specialised Autonomous vehicle / Smart mobility Technology industry categories. Our clients can then create their own fully detailed, media rich product or service review pages. These are sometimes known as "advertorials". This is nothing new, but feedback shows that our clients prefer this type of more "factual" platform. We also work with selected media partners to help to connect their services with our subscribers in a professional, permission based manner. We are committed to our client’s requirements & success for their ongoing marketing campaigns. We are also able to discuss one to one custom solutions, to provide a unique fit for a particular strategy or development, to help to ensure that your chosen product or service finds it place in front of the appropriate client. Please Contact us, if you have any particular requirements that you would like to discuss. We fully respect any requirements placed on us by our clients, to ensure the confidentiality of new technologies, startups & any stealth mode operation. We look forward to working with you within this exciting industry and through our online resource, we hope that we can help you to achieve your growth objectives.